With record-setting winter storms blanketing the country, ice dams have become an increasingly common problem among homeowners. 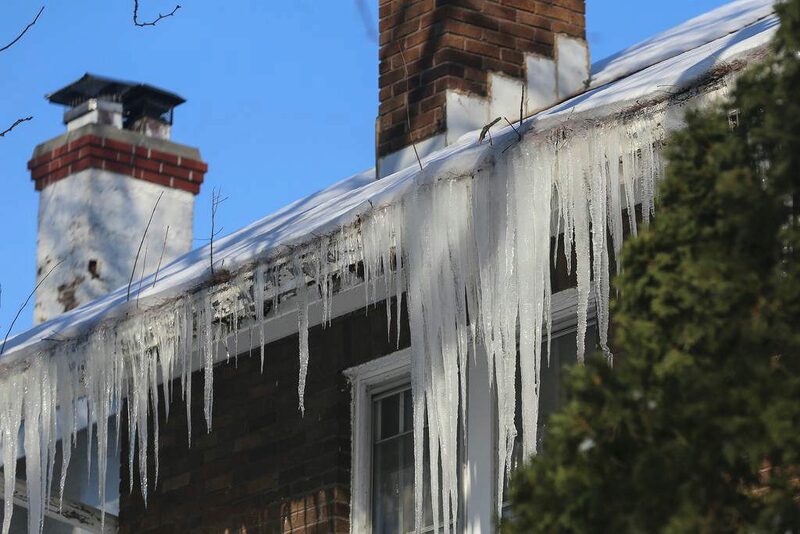 Some people may ignore the ice formations built up along with exterior of their home’s roof, but unfortunately problems such as this don’t just ‘go away.’ Ice dams pose a serious threat to the home’s structural integrity, with the potential to cause tens of thousands of dollars in damage. Ice dams are characterized by ice, snow and water backups along the exterior of a roof. Normally, rainwater flows off the roof with the help of gravity. However, the blockage of water and slush along the edges of a roof prevents this from happening; this, further compounding the problem by creating pools of water on the roof. This water may then seep down into the home where it contributes to mold, mildew and even rotting. The bottom line is that you do not want to deal with water damage in your home. Contrary to what some people may believe, it’s not the excessively cold weather combined with precipitation (although it does play a part) that causes ice dams, but rather the warm air inside the home. When the air inside the home is above freezing, it encourages ice and snow on the roof to melt rather than stay frozen. Of course, this constantly melting and refreezing creates pockets of water behind the ice dam. Homes with inadequate insulation are the most vulnerable to ice dams. The heat from inside their home rises up to the roof where it literally cooks the snow and ice, creating a slushy mix that travels down to the sides of the roof where it freezes into a dam. Insulation your attic. Attic insulation is arguably the single most important step in preventing the formation of ice dams. Perform a thorough inspection of your attic, looking for gaps or holes in the insulation. If you find any, go back and fill them in with new insulation. Clear your gutters. Homeowners should also check their gutters on a regular basis to ensure they are clean and free of any debris. When the gutters are blocked, water won’t be able to travel down them. Spray waterproof membrane. A third tip that’s helpful for preventing ice dams is to spray your roof with a waterproof membrane. This will serve as the last layer of defense against moisture trying to make its way through the roof and into your home.